ClearWaterMMS is a flexible tool designed to help marina managers to manage and control most of the marina's day-to-day processes in an efficient and effective way. 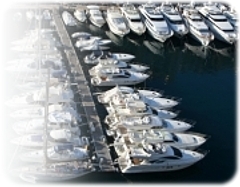 ClearWaterMMS holds all the details of the marina, including berths, products and services, and the customer database. 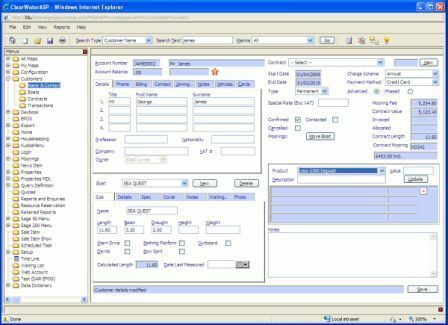 ClearWater Marina Management Systems is a division of George James Software Limited. It was formed following the successful development and implementation of its ClearWaterMMS marina management system in order to serve the needs of marina managers worldwide. The focus for the company's success is our commitment to provide a total solution to our clients' requirements. Although the desire is to provide off-the-shelf solutions offering simplicity, flexibility, and efficiency for even the smallest of marina operations, we also have the experience and expertise to redesign and customize packages for large, multi-marina operators.